Unlike some money clips that only carry bills, the two in one design of this metal "Smart" money clip also lets you take along up to three credit, debit or gift cards. It's made of solid but lightweight stainless steel. It has a french fold money clip on top and a separate credit card holder below. The credit card holder has a wide opening and it get slimmer at the top, making it easy to slide your cards into its tight grip. 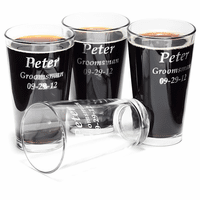 Add free custom personalization, just press the Start Personalization button above to enter your engraving. Dimensions: 3" x 2 1/4" x 1/2"
How many cards will it hold? It can hold up to three credit cards. The minimum number of cards is one, the maximum is three, possibly four if you squeeze them in. 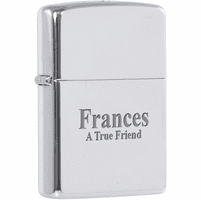 Just check the Personalize It box above the Add to Cart button to enter and preview your engraving. Is there a place to put your drivers license? It can slide in the same slot where credit cards go, it fits well there. When will you get more in? It says out of stock right now and I would like to get one for Christmas. Thanks! We should have this back in stock this coming week, the first week of December. We don't have any wallet with a money clip that can hold that many credit cards. You would need to go with a straight wallet for that. Can you engrave on both sides? So 1 side could have a message and the other, his initials? I'm sorry, we can only engrave on the one side of this money clip, the side shown in the picture. What is the max amount of credit cards this money clip can hold? The largest quantity of credit cards you'd want to keep in the credit card holder would be 4 or 5. Will it still work if i only put 1 or 2 credit cards in the slot or will they fall off? And is this money clip heavy? Just wondering if it will add a significant weight or bulk in the pocket which im trying to avoid. The credit card holder is slightly pinched at the top so that when you slide even one credit card in, it will hold it tightly. 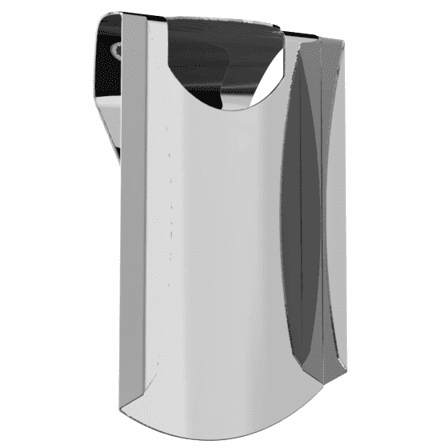 The money clip is made of lightweight but strong aluminum so it does not add much bulk or weight to your pocket. Yes, it would be a tight squeeze but we could do it. Enter your engraving instructions in the comments section of our checkout page instead of on the item page. Please let us know if you have any questions. How many letters can fit on the engraving part? We could fit about 20 if you make the font very small. Check the Personalize It box right above the Add to Cart button. This will open up a window where you can enter engraving, choose a font and play around with the size to see how much you can fit. Will this saying fit on the front? "The Only Easy Day Was Yesterday"
Yes, but you won't be able to fit it in the engraving input field. Instead, let us know that you would like this engraved in the comments section of our checkout page. I want to put two different names on the money clip, but it looks like it comes up as both names on the one clip. I want 2 clips but different names on each one. You'll just need to add each money clip to the shopping cart one at a time. So enter the engraving for the first one and add it to the shopping cart. Then press the keep shopping button and do the same for the second one. 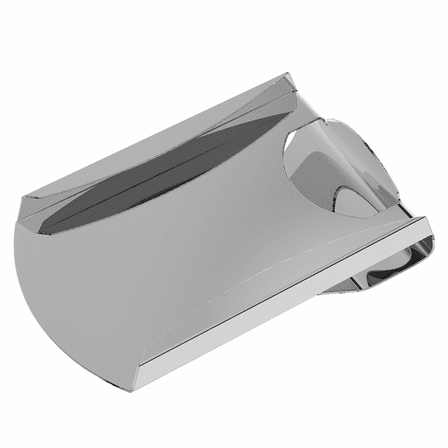 You should have two money clips in the shopping cart at this time and you can check out. Can engraving have characters like the diacritical mark called tilde (~)? How do you keep the card(s) in place without sliding out on the open end? Do the sides act as clamps by adding a little pressure on them or ??? One side of the opening is narrower than the other so that when you slide your credit card(s) in, it will "wedge" in to the narrower end. Choose either the "Script Monogram" font or the "Circle Monogram" font. Enter the initials in the order they'll be engraved. In your case, that would be GRD. This money clip is in stock and would ship the next business day after you order it. You can choose a variety of UPS shipping methods in addition to our standard USPS Priority Mail shipping options, so just choose the shipping method you need (Ground, 3 Day, 2 Day and Next Day Air). How many credit cards can it hold? 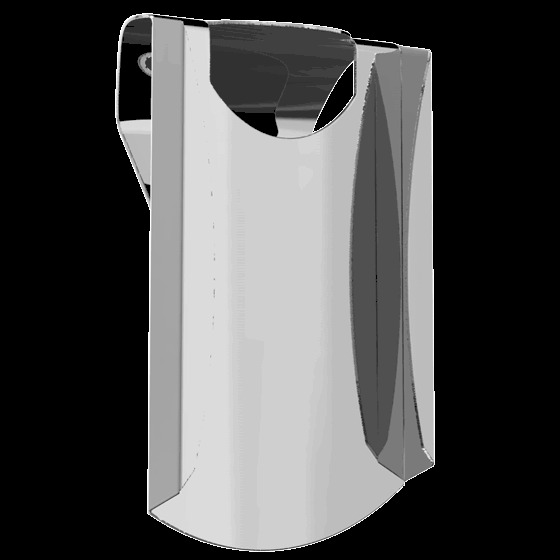 It can hold 3 to 4 credit cards in the credit card slot. Credit cards also fit nicely under the money clip, you can hold 3 to 4 here too. This item does not come in leather, only stainless steel. It will easily hold 20 folded bills. The dimensions are 3" x 2 1/4" x 1/2"
ProsBest way to hold cards. It was beautifully made and perfect for the person I got it for. They loved it. Free engraving was a bonus. Definitely recommending to others. My husband broke his last money clip after having for many years. This one is good and the same style that he previously used. The money clip looks nice. The card holder works well but the money clip portion is not great at all. This is just beautiful. Elegantly made. My boyfriend LOVES it best gift and money clip ever!! This is a nice, efficient way to carry my money and four credit cards. My wallet is great, but sometimes it is too big to carry conveniently, especially in the summer. This money clip is a nice alternative to my wallet. Arrived on time and performs as described. Nice and compact. Not bulky like a wallet. A very nice gift for a friend, just as described by the seller. This was a gift for my 20 yr old grandson. He was ecstatic upon receiving this today! The quality and engraving was very impressive!? I definitely will recommend your company to others!? ProsVery stylish engraving! 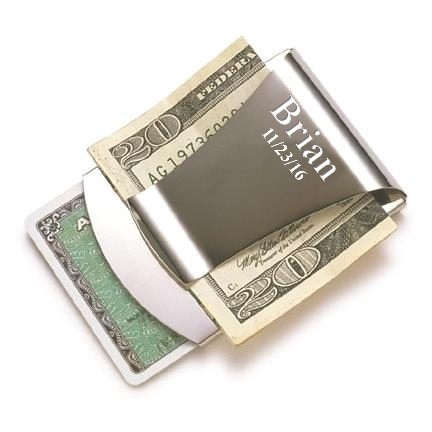 The quality of the money clip is excellent as it holds credit cards and bills securely. ProsMy husband loves this money clip. No longer carrying a bulky wallet in his back pocket. The engraving was terribly done. You can barely read it. Will never order from here again. Good quality product. The engraving was beautiful and just as pictured. We received the item faster than the expected date. This was given as a gift and the receptiant loved it. It is stylish and he loved the monogram. Ordering was easy, selection of font and font size was also easy and reviewable before making final decision. Delivery time was as promised, in fact it arrived earlier. ProsLiked the ability to review the engraving before making final selection. Nice and sturdy, fits 3-4 cards perfectly, I was a little nervous that they would slip out but the card holder part is actually very snugs and holds the cards as well as the money clip part. My husband is very happy with the gift and loves the personalization! I got this gift for my boyfriend for Christmas. He loved that it was small but able to fit 4-5 cards and more on the clip side if needed. No more bulky pockets! I was very pleased with the service and the product that I ordered. There was a problem with my first order and I called and spoke to customer service and they replaced the item immediately at no extra charge to my satisfaction. I would definitely do business with them again. Quality product & great customer service. Very satisfied. It only holds a couple cards. the money clip part bends out - which makes it uncomfortable in the pocket. Kind of cheaply made. disappointed. We are so pleased with our order. We requested to receive it ASAP and received it in less than a week. We will be ordering from you again and will recommend " Executive Gift Shoppe" to our friends and family. Holds 4 cards snugly. The money clip holds money pretty firm also. It doesn�€™t take up too much room in his pocket. Great great. The personalized message was also great. Easy shopping, fast shipping and great quality! It's better than the one I lost. Perfect gift for Father's Day. Holds money & credit cards as advertised. Mongramming nice touch. Easy to order. Received the money clip before quoted delivery date. I ordered on a Sunday afternoon and had it engraved. It was shipped on Monday, received it on Wednesday and it was exactly what I ordered. I no longer carry a wallet.